Members may come and members may go, but the Towpath Volunteer in each of them will stay with them a lifetime! 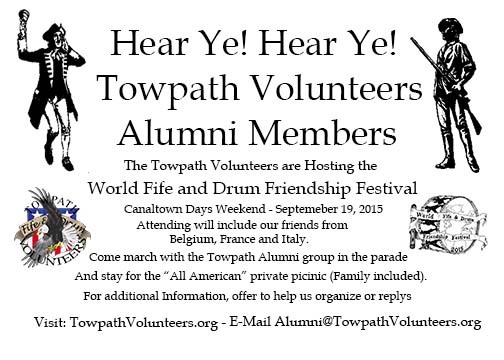 The Alumni Page is dedicated to those members who gave their time to make the Towpath Volunteers the great corps we are today. This page will keep the Alumni up to date with news about each other and upcoming events for them. We are continuing to work on forming an Alumni Association that will keep “family” members who are no longer active participants up to date with the latest news and events from our “active” membership as well as events especially for the Alumni. We need your input for what events you would like to see. If you’re willing and able in helping plan events or help us find “Missing Alumni” by gathering names and addresses, PLEASE let us know. More Information to follow soon! 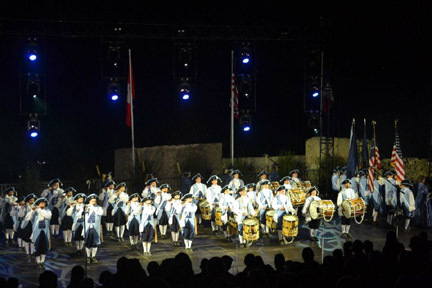 37 Years of Fife and Drum Excellence!